Experts see a downtrend in market in the near term on uncertainty over effects of demonetisation and global markets. The Sensex closed 5.94 points lower at 26,298 level. The Nifty rose merley 0.04 per cent or 3 points higher to 8,111. The market lost momentum for the third consecutive day today with Nifty closing below its 200-day moving average of 8,126 level. An index closing below its 200-day moving average signals short-term volatility and downtrend in the market. The Sensex which gained 300 points in first five minutes of trade closed marginally lower reeling under the effects of demonetisation. Experts see a downtrend in market in the near term on uncertainty over effects of demonetisation and global markets. The Sensex closed 5.94 points lower at 26,298 level. The Nifty rose merley 0.04 per cent or 3 points higher to 8,111. On the Nifty 50, 19 stocks advanced against 32 closing lower. The BSE Sensex could not benefit from gains in auto and IT sector stocks and saw selling pressure in the last 30 minutes of trade. 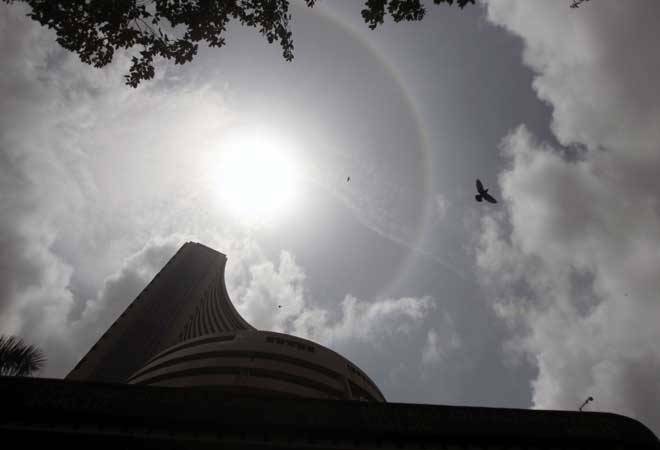 Earlier the BSE Sensex erased two days of losses on back of rise in auto and IT sector stocks on Wednesday. The auto sector stocks were battered in the last two trading sessions in wake of demonetisation of Rs 500 and Rs 1000 notes announced by PM Narendra Modi on November 8. The BSE auto index rose 191 points to 19,711 level. IT sector stocks too gained as rupee touched their 20-week low on Tuesday. IT sector firms earn a large part of their revenue in dollars. If rupee falls, every dollar earned through exports means more revenue is added to the bottomline. The TCS stock rose 3.21 per cent to Rs 2,190.25 level on the BSE. MindTree, Infosys, KPIT rose 1.69 percent, 1.66 percent and 2.25 percent, respectively on the NSE. Bajaj Finance and Cholamandalam Finance were the top gainers rising 10.20 per cent and 8.59 per cent, respectively on the BSE. PC Jeweller fell 7.81 per cent, most on BSE, extending losses from Tuesday's trade. SRF Ltd was down 6.02 percent. Gujarat Pipavav Port too fell 6.01 percent. Market breadth was negative with 1551 stocks falling against 1049 advancing on the BSE. Asian stock markets were mostly higher Wednesday, tracking overnight gains on Wall Street, as investors awaited more policy details from US president-elect Donald Trump. Oil prices bounced back after a brief retreat that snapped an overnight rally. Japan's Nikkei jumped 1.1 percent to 17,862.21 and South Korea's Kospi gained 0.6 percent to 1,979.65. Hong Kong's Hang Seng index rose 0.6 percent to 22,446.94, while China's Shanghai Composite Index edged 0.1 percent lower to 3,204.38. Australia's S&P/ASX was nearly unchanged at 5,327.70, while benchmarks in Taiwan, Singapore and Southeast Asia gained. US stocks finished higher on Tuesday as a rally in the oil markets pushed energy companies higher. The Dow Jones industrial average gained 0.3 percent to 18,923.06. The Standard & Poor's 500 index rose 0.7 percent to 2,180.39 and the Nasdaq composite added 1.1 percent to 5,275.62.